Version 5.1, 8/31/2003 by S.L.S. Poets' Corner is an anthology, or collection of works gathered from many different sources. The promise of the internet is communications - the ability to find things of value, to communicate with others for common understanding, to make resources - often things that might otherwise be lost - available to many instead of a few. The editors of this site have taken on the mission of serving this role for the art of Poetry. It is our desire to compile the largest, most diverse, and most accessible online collection of poetry in the world. As of the 3rd Quarter of 2003 when this FAQ was last updated, we are well on our way to achieving this goal, with around 6,700 works online by 780 authors. There are comprehensive author, title/first line and subject indices, and a variety of additional features to increase interest or enhance ease of use. The site was developed initially by Steve Spanoudis of Coral Springs, FL, who has been joined over the years by Bob Blair from Austin, TX, Nelson Miller from Macon, GA, and Jon Lachelt from Fort Collins, Colorado. In addition, this site has received the support of individuals from around the globe, and is used by thousands of people each week. Obviously if you know what you're looking for you can make use of the Condensed Author Index, the Title/First Line Index, or the Subject Index. The Condensed Author Index, by the way, is just a quick index for the Annotated Author Index. These are large text files so be a little patient waiting for them to load. They are filled with information, such as what book a poem first appeared in, when it was published, some anecdotal biography information on the poet, etc. You may find them interesting to browse by themselves. If you are trying to find something and are not certain about the who or the what, there is now an effective search tool, courtesy of Yahoo. Note that the tool searches all of The Other Pages, which includes several other text and image collections. You will have the best luck searching on the most uncommon key word or word combination. Please note that many of the files in the collection, particularly the older files, contain multiple poems. Make sure you scroll down. Also note that the search engine cannot bridge multiple sites, so you will have to investigate Bob Blair's 'Annex' collections separately. Even if you are not searching for anything, these contain lovely material for browsing, some of which, literally, you will not find anywhere else. If all else fails (not as a first course of action, please), e-mail questions are answered if one of the editors is available. Note that we cannot guarantee an answer, though are track record is probably better than 80%. If you are a student who is using the site to address a homework assignment, understand that it is not our job to help you get it done. We receive an anywhere from 5-25 homework assignment requests daily during the academic year, ranging from grade school to college English assignments. This is a place for finding works and authors. There is a high probability what you need to find is here - look for it. If you are too lazy to look in the index.....we will probably be too disinterested to do it for you. Most students have their greatest difficulty (a) figuring out what a poem's true subject is in the first place, and (b) figuring out how the poem's mechanics support its meaning. As Bob's Daily Poetry Breaks reinforce almost weekly, reciting a poem aloud and paying attention to what you're saying helps as much as anything. Go right ahead and link to the Poets' Corner home page, or to the particular poet or work you wish. If it wasn't meant to be looked at by everyone it wouldn't be here. Note that in the newer part of the collection (starting 2nd quarter 2000), there is generally only one poem per HTML file. In older parts of the collection, you will want to reference the filename and anchor tag, for example, "keats01.html#2"
Sorry, we can not manage or maintain a library of reciprocal links. There are loads of search engines and other sites that do that. I want to spend our limited time and resources maintaining the collection itself - not verifying owners, checking for scams, and watching for broken links. To the best of our knowledge, everything presented in "Poets' Corner", unless explicitly annotated otherwise, is believed to be in the public domain within the United States, where the material is hosted. Note that, due to the Millennium Copyright Act (referred to by many as the Disney Profits Protection Act) most copyrights since 1923 have been extended another quarter century, so you will not be seeing most 20th century works online for a long, long time. We have a hope that at some point we will be able to get permission to add more recent works, and these will be designated with the appropriate copyright information. These may not be copied or distributed further without permission of the copyright holder. As we have no budget for this, it may also be a long, long time. If you are duplicating or researching something, please do us the courtesy of listing the Poets' Corner URL (http://theotherpages/poems/) as a reference. Even the NY Times does us that courtesy. Surprisingly, as the search engines and index sites are becoming so clogged, word of mouth (or rather, of e-mail) is once again becoming the best communications medium. If you are among the 50% of our users who are outside the US, please check on the local copyright status before assuming 20th century works are in the public domain. Please note that the copyright notice on the collection references 'The Collection', all editorial content and annotation, and the HTML scripting and graphic that comprise the collection's characteristics. Please do not 'lift' pages from the collection to plug into your own online collection. They become 'dead files' that can not be maintained, and whose linkages are incorrect. Instead please link to the relevant page in the collection, or cut and past the text you wish to reference into your own pages. Contributions are warmly welcomed, and all get credited (provided you remember to send in your name). Skim through the Author Index and look for initials in parenthesis (). There is a key to contributors on the Credits page. The easiest way to send a poem is to cut and paste it into an ordinary e-mail message. Please include the source information to help us in confirming that the work is not under copyright. Try to be faithful to the spelling and indentation of the original. (Many poetry readers are natural proofreaders, it seems, by nature.) Poems will be scripted in html as closely as possible to the original print versions. Because of the wide range of readership this site enjoys, there are some basic ground rules on content: we tend to avoid explicitly sexual, hate-ridden or prejudicial material. Fortunately, since people tend to send in their favorites (and there are good reasons why poems become favorites), the acceptance rate is very high. If you are looking for a place to contribute YOUR OWN POEMS, we are (slowly) developing a companion site, UniVerse. Contributions are welcomed. English is the native language of all of our editors and, for the first several years, was the de facto language of the net. The collection has substantial American and British content, though nearly all of the Commonwealth is represented. It is perhaps one of the basic definitions of poetry that it does not translate well between languages. It is very difficult to match the rhyme, form, meaning, and meter in more than one language at a time. There are exceptions to this, so we will from time-to-time add translated works. Most of the well-known translations are 'interpretive' in nature, not literal. Fitzgerald's version of the Rubaiyat is a prime example. I learned my own lesson by spending a year translating Virgil's Aeneid from Latin once upon a time. Heu (sigh). No, the site does not contain much in the way of criticism, as such. Some of the major works have introductions by the contributors or editors, and Bob provides commentary for the Daily Poetry Break, but that's about it. There are some major works where annotations are included, and Bob Blair has been the principal editor in this area. Check out his Don Juan by Byron when you have a chance. My apologies to all A.P. English students out there who would like their homework done for them. Please see the section above on Homework. What poetry questions are asked most frequently? And was originally from his piece, Four Cabaret Songs for Miss Hedli Anderson. What's the poem about 'not going gentle in the night' or something like that? It is considered the finest villanelles ever written. A villanelle is a special type of short poem with a special pattern of repeating lines. In what was perhaps not its best showing, Sally Kellerman taught it to Rodney Dangerfield in the movie 'Back to School'. What poem does '...But I have promises to keep, and miles to go before I sleep...' come from? It is from 'Stopping in the Woods on a Snowy Evening', a beautiful short poem written by Robert Frost, and part of his collection titled New Hampshire, published in 1923. Wasn't the Broadway play 'Cats' based on some poems or something? Yes, the play is based generally on a book by poet T.S. Eliot entitled 'Old Possum's Book of Practical Cats'. Who wrote "Grow old with me, the best is yet to be?" About nine of here poems were published during her lifetime, mostly in newspapers and magazines. Her poem 'Success' was contributed to an anonymous collection which included works of many well-known authors of the day, but it was changed by the publisher and most critics thought it had been written by Emerson. 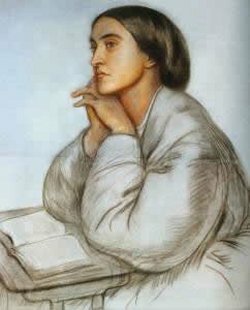 On the other hand, all of poet Gerard Manly Hopkins works were published after his death. Who Wrote something about "I must go down to the sea again?" -- they quote it in a lot of movies.